Erdogan warns Turkey could ‘say goodbye’ to EU – Royal Times of Nigeria. Turkish President Recep Tayyip Erdogan on Tuesday warned Brussels that Turkey would bring the curtain down on its over half-century bid to join the European Union if new accession chapters were not opened. Erdogan’s threat to say “goodbye” to the European Union came minutes after he rejoined Turkey’s ruling party in the first major change to come into effect following a controversial vote to boost his powers. Relations between Ankara and Brussels have tumbled to unprecedented lows following a failed coup bid on July 15. The EU is troubled by the state of human rights in Turkey, while Turkey is slamming what it sees as a lack of solidarity from the bloc. Erdogan last month narrowly won a referendum on sweeping consitutional changes to create a presidential system. But the victory was contested by the opposition and gained only the most tepid of welcomes in Brussels. “There is no option other than opening chapters that you have not opened until now,” Erdogan said, referring to the individual policy areas that need to be concluded before Turkey joins the EU. “If you open, then great. 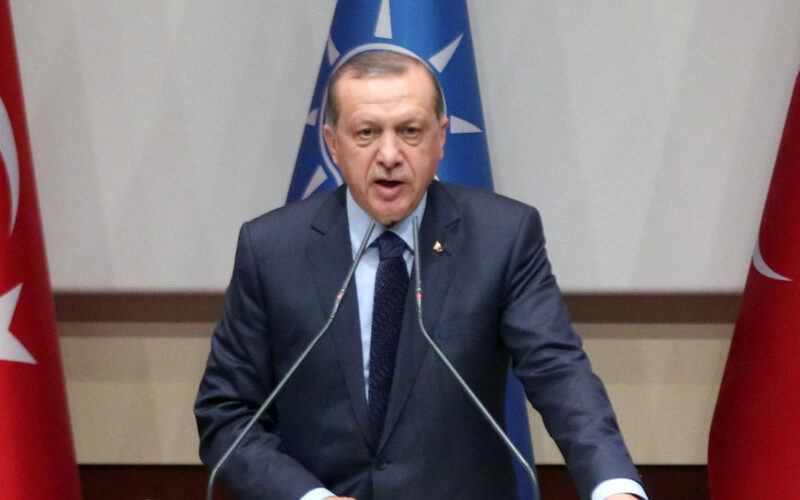 If you don’t open, then goodbye,” Erdogan said. “Turkey is not their (the EU’s) doorman,” he added. Sixteen chapters have been opened out of a total of 35 since accession talks began in October 2005, although Turkey’s bid to be a part of the bloc dates back to the 1960s. “First you have to handle these chapters and fulfil your promises. Then we will sit at the able and talk. Otherwise, we have nothing left to discuss with you,” Erdogan said. Some EU states — led by Austria — have suggested that membership talks should be frozen. But EU foreign affairs chief Federica Mogherini said on Friday that talks had not been halted. Germany has urged its EU peers not to end accession talks despite deep misgivings over Turkey’s rights record, saying the country is key to European interests, not least as a NATO ally. EU President Donald Tusk and European Commission President Jean-Claude Juncker want to meet with Erdogan when he travels to Brussels for the NATO summit on May 25 despite the growing tensions. Erdogan, who Monday returned from a visit to India, will however first be visiting Russia, China and United States in an indication of Turkey’s priorities.